We haven’t taken nearly as many trips this summer as we have the last couple of years. The second child being less than a year old makes travel difficult because we never know what kind of mood he’s going to be in. We really wanted to road trip to Armada to eat lunch and enjoy some hard cider at Blake’s Ciderhouse & Winery, but we needed to find something else to do. We couldn’t do six hours in the car in one day, so a hotel stop (with a pool of course) was going to be in our plans. I started looking back towards Detroit for things to do. We had discussed the Detroit Zoo and Belle Isle, but neither of us really wanted to be outside. 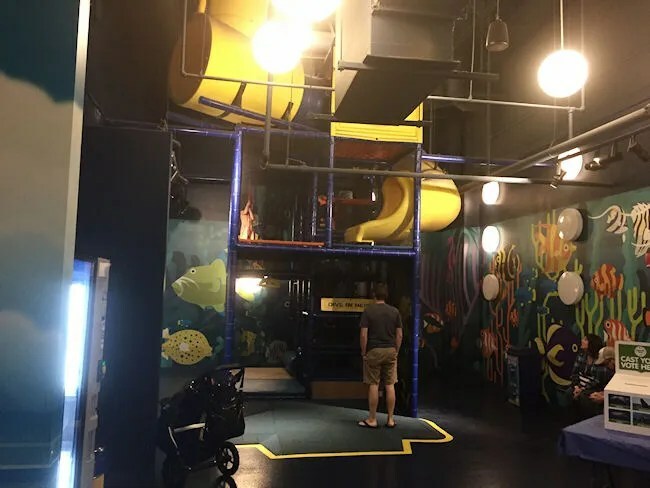 I had seen friends who have recently been to Legoland Discovery Center, but I wasn’t sure how much L would actually enjoy that. My search of Legoland brought me to another idea though. 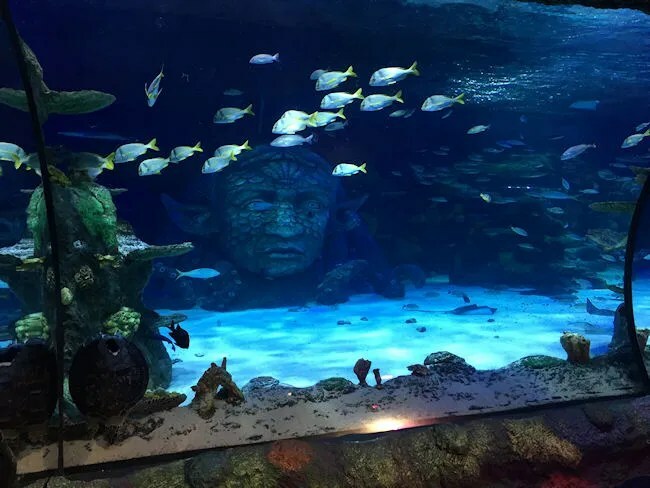 The group that owns Legoland, Merlin Entertainments, also owns a chain of aquariums. SEA LIFE Michigan Aquarium is in the Great Lakes Crossing Outlets just around through the food court from Legoland. Merlin is an England based company that owns a number of attractions throughout the world. 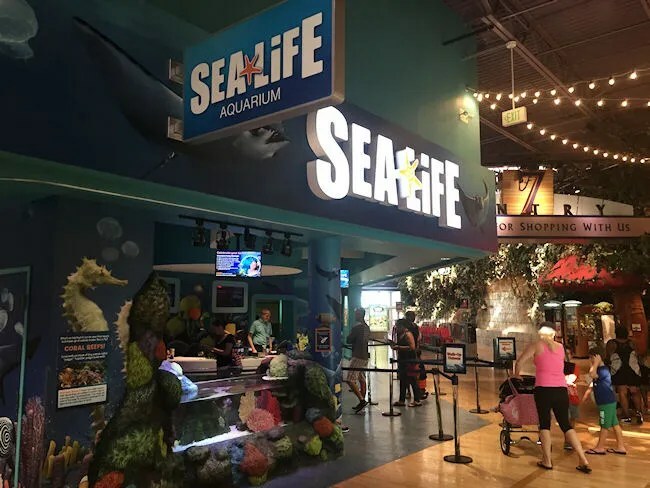 Including Auburn Hills, there are eight SEA LIFE Aquariums in the U.S. Around the world, there are 39 other locations. 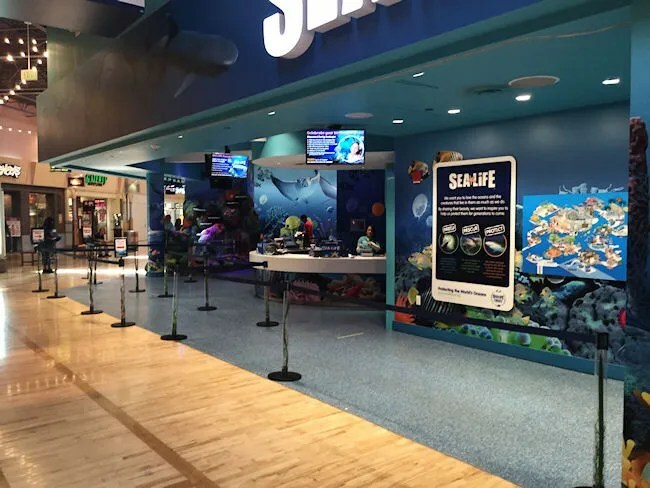 SEA LIFE Michigan is right at Entry 7 of the Great Lakes Crossing across the hall from Rainforest Cafe. 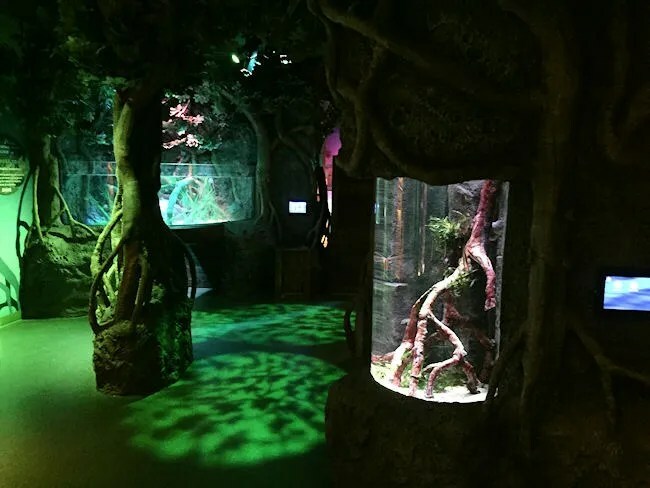 The aquarium opened in early 2015 taking over the space that was previously occupied by Game Works. They really encourage buying tickets in advance. Entry to the aquarium is done in a controlled setting with tickets purchased for a half hour window in which you can enter. They do have some walk up tickets available, but on busy days, it’s best to buy in advance to make sure you can get in. The prices of the tickets also vary by time of day. We were leaving Armada a little after 3:00, so I got on my phone and bought tickets for a 4:00-4:30 entry time. The prices during this time period on a Friday were peak pricing, so we paid $18 for the two adults and $13 for L. B was free as he is still under two and went through the aquariums strapped to J’s back in a Lillebaby. We checked in to the front desk and the attendant was able to scan the tickets off my phone. They didn’t come in an email, but you’re able to look up an order on the website with your email and phone number. If you’re coming from home, you can also print the tickets. I didn’t see if they had a kiosk or anything to print as I would have preferred that just because I still like having a ticket as a souvenir. The attendant gave L a book to collect stamps throughout the museum and a pair of paper glasses to wear. The glasses didn’t last long, but the book was kind of fun. There are 9 stations scattered throughout the different rooms to collect stamps. At the end, the kids get a small gold model for completing the book and turning it in at the gifts shop. Entrance to the actual exhibit area is timed as well. The doors to the first room open every three minutes. There’s a place to queue up and wait for the countdown clock to hit zero. When it does, you go in to another room with a countdown clock This one counts down to the doors shutting behind you. 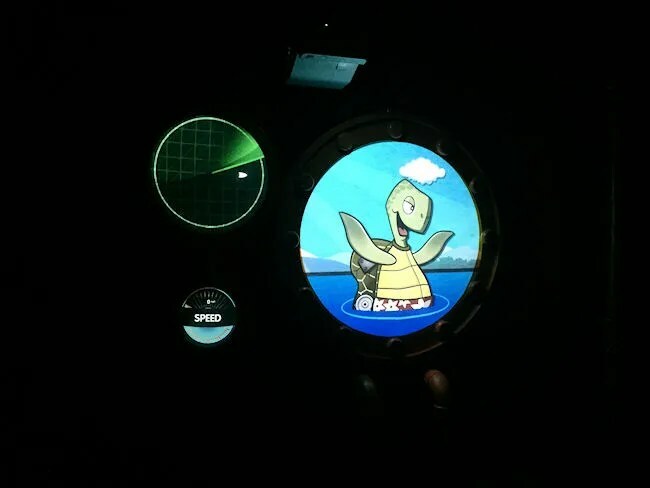 The room goes dark and there’s a two minute video feature cartoon characters talking about conservation which is a big theme throughout all of the SEA LIFE Aquarium. After the movie is over, another set of doors open automatically and you’re free to roam through the large aquarium space. I was really excited to see how L would react and I wasn’t disappointed. She ran out of the room and pressed her face right up to the glass of the first tank. That first exhibit is the Freshwater Exhibit. 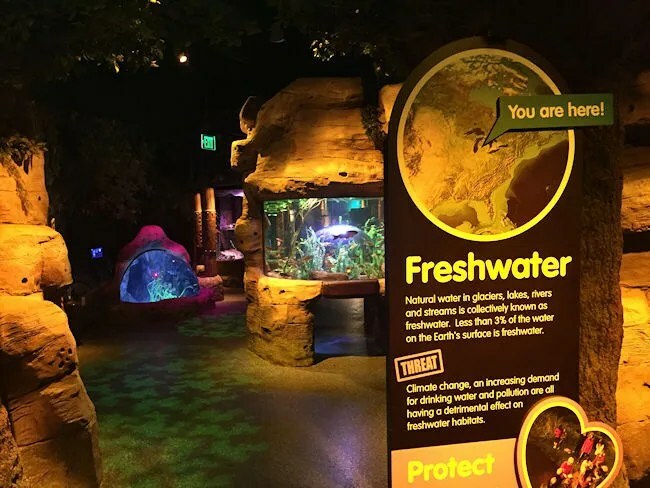 The exhibit includes all sorts of fish that you can find in freshwater streams and lakes including a number of fish that you can find nearby in the Great Lakes and rivers. From there, we moved on to a hallway that took us to the Harbor exhibit. This is a little bit of a tease because what you’re looking for here is baby stingrays. The big sting rays come up later, but these smaller tanks have more creatures that can be found in harbor areas. One of the cooler parts of the aquarium was next and it is the Interactive Touch Pool. No stingrays in this touch pool, but there are all sorts of crustaceans and other small marine life. There’s an attendant in this area that talks with the kids and tells them what they’re touching and encourages them to interact (gently) with the creatures in the pool. Half of the pool was closed while we were there, but each end had a number of crabs and the like for L to feel. The next area was a big room with a tank that circled all the way around. It’s the Shoaling Exhibit and show fish that swim in schools. The room is dark and the tanks are back lit. 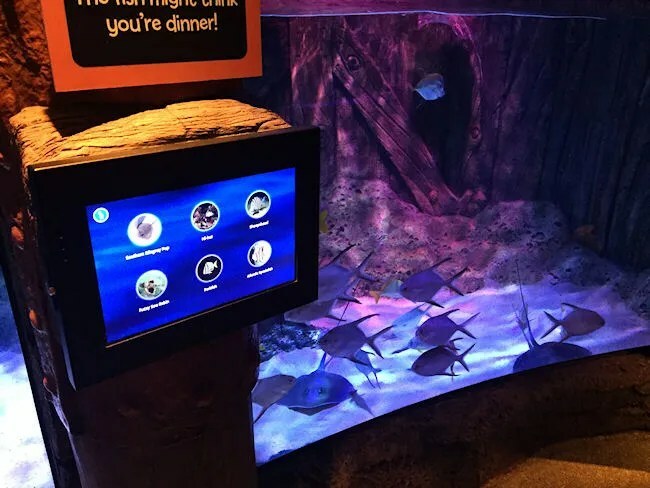 The fish have the option to swim an artificial current that goes all the way around the tank. The Shoaling exhibit leads into the Seahorse Mangrove Exhibit. These are much smaller tanks lined up on both walls with seahorses. Again, L had her face pressed to the tanks looking for, in some cases, the tiny seahorses that were clinging to the coral in each tank. One of the new exhibits at SEA LIFE was up next on the path through the aquarium. This room looked kind of thrown together, so I’m going to guess it’s pretty new. It didn’t really fit in with the rest of the space and the walkway seemed kind of hastly made to redirect you into this little offshoot room. Claws! is what they’re calling it and it’s home to a number of crabs. There’s a giant Japanese Spider Crab in the first tank inside the room and it was just chilling right at the edge of the glass. The rest of the room was filled with tanks with much smaller animals but all within the Claws! theme. Stingray Bay was up next and L loved this. You don’t get to touch the sting rays like you do at a lot of zoos, but that didn’t matter to her. There’s a giant pool filled with sting rays and sharks and several viewing spots. 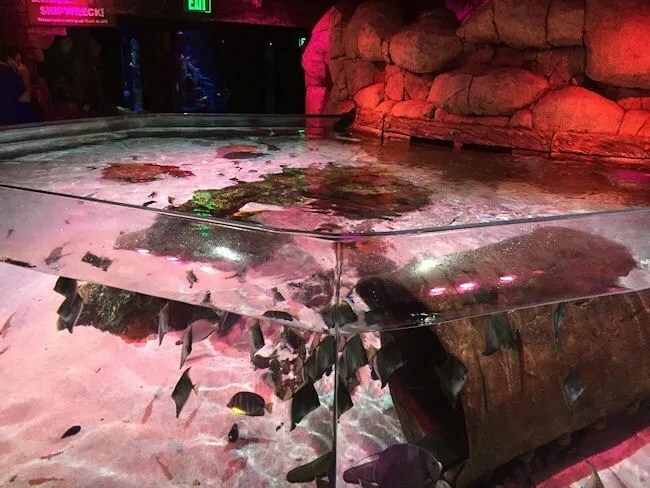 The glass tank starts at the floor and goes up about five or six feet so the kids can get right up next the glass as the sting rays swam by. We spent quite a bit of time here and several groups caught up to us and did the same thing. This seemed to be a real hot spot for the kids. 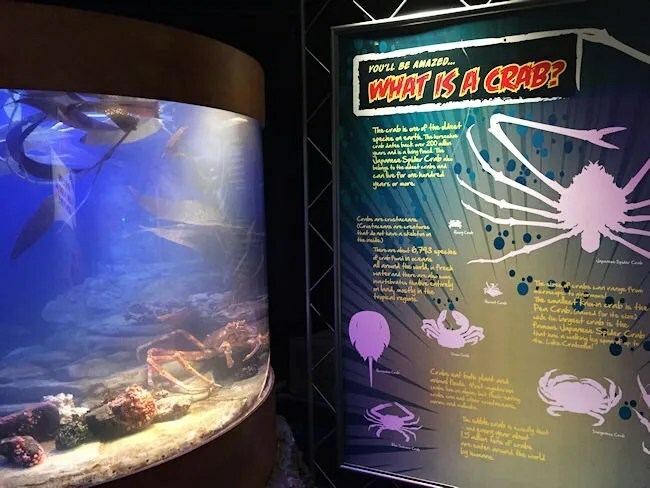 The Shipwreck exhibit is next and the big deal here is the Giant Pacific Octopus…which can be surprisingly hard to find…even when it’s right next to the glass. We stared in the exhibit for a few minutes before any of us noticed it was hanging out clinging to the glass on one side of the tank. Next exhibit is the Tropical Ocean. This is the one where you can walk through a tunnel and see all of the creatures swim over and around you. This one has fish, sharks, rays, and a giant green sea turtle if you can find him. Getting towards the end of the aquarium is Jelles. We skipped through this one pretty quickly. There’s a wall with dozens and dozens of jellyfish and you can change the color in the room and play with the lighting in the tank. L wasn’t very interested because she saw something up ahead. The last big exhibit is the Coral Reef exhibit. If you have kids, you know why L was excited. It didn’t take her long to find Nemo (Clownfish) and Dory (Blue Tang) in one of the tanks and she didn’t want to leave that tank. There are so many other neat aspects to this area with a living coral reef, but man, she was really entertained by the two made famous by Pixar fish. The last area is the Conservation Cove Exhibit. There’s information on SEA LIFE’s conservation program as well as what you can do to help. There’s also a spot to sit and watch a short film and a play area for the kids. We weren’t in a hurry so we each grabbed a drink from the vending machine and let L play for a while. We figured the more energy she could burn out the better. 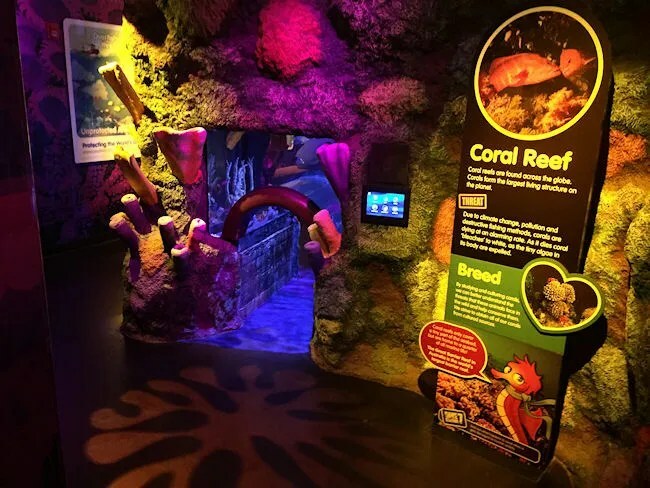 Once you get inside SEA LIFE, your ticket is good all day and you can come and go. There’s actually a door at the end that lets you go back to the beginning without leaving. We asked L if there was anything she wanted to see again but she said no. The exit, of course, is through the gift shop and that caused a little metldown because we wouldn’t buy her a “snuggle toy.” We got her out without a fall down on the floor meltdown but she was still mad at us. 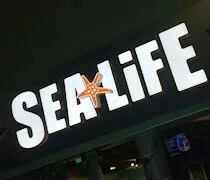 It took about an hour and a half to go through SEA LIFE and it was an experience we enjoyed a lot more than I thought we would. 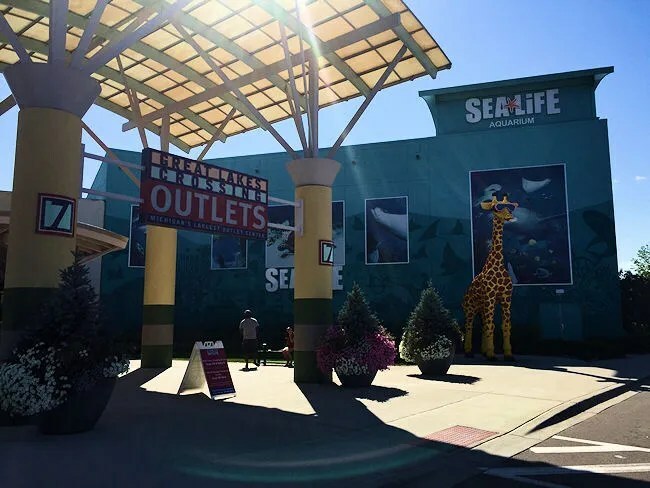 I was little hesitant on a commercial aquarium like this when I started researching, but they do a really good job in the given confines of an outlet mall. The price is a little high, but there really are a lot of exhibits to take care of, so it’s probably justifiable. 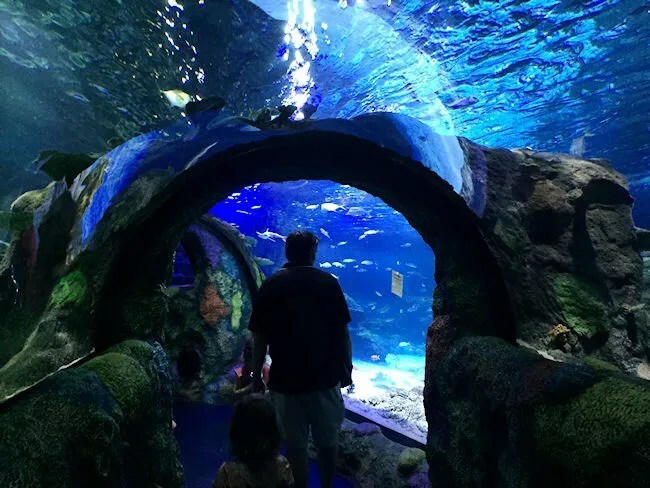 If your kids are in to LEGO, there’s a deal to get both attractions for a little cheaper price, but we were happy with SEA LIFE and would consider a return trip on a rainy (or just really hot and humid) day in the Detroit area.